What does it mean to “break the cycle”? Only to find yourself doing the same exact thing or falling into the same pattern? I remember very clearly my mother saying that she wanted our relationship to be different than the one she had with her mother. And yet, here we are, very much in a similar relationship, although the work I’ve done (on me) has helped. I used to think that the cycle ended with me because I chose not to have children. Now I know that the reason the cycle is ending with me is because I have chosen to feel the pain. To feel it and process it and name it and acknowledge it. To give it its due. The intense fear of rejection that caused so much inauthentic behavior. The pain of feeling that I’m not loved unconditionally. The anger that wasn’t allowed because it wasn’t safe and so it found its outlet in self-destructive behaviors. The grief of what was lost, but which I felt ashamed of because, it seemed, my grief made my mother feel guilty. 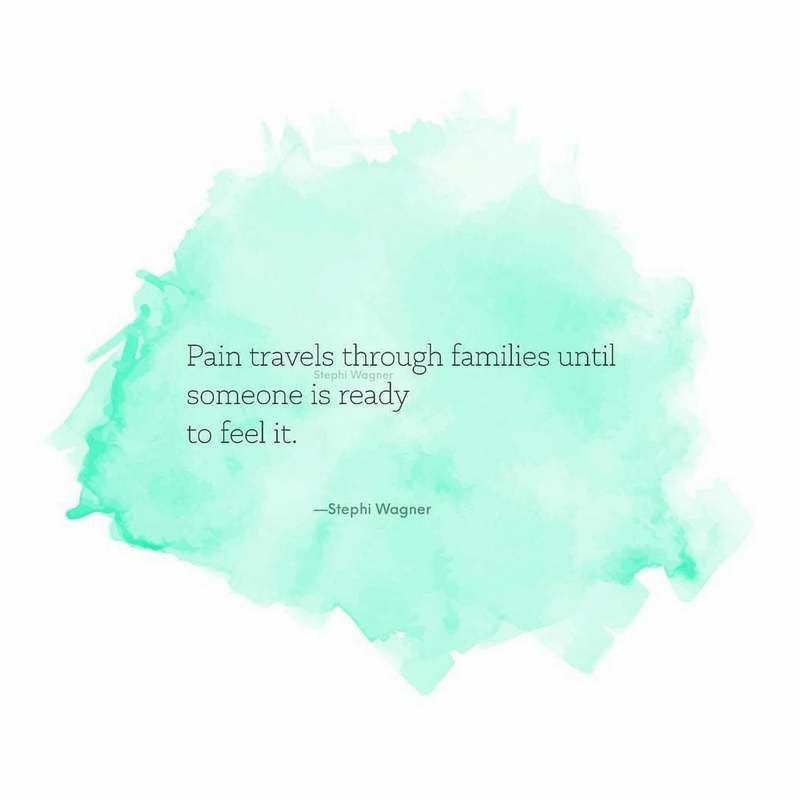 The pain that exists within me – that was passed down through my maternal and paternal lineages – was willing to wait for me to feel it because it knows how important it is for me to feel it. It would not leave until I gave it the attention it was insistent on receiving. Before I understood this, I unconsciously carried the pain and passed it, not to children I’d intentionally not had, but to my husband, my stepchildren, my sister, my mother, and others. …noticing when I was pointing fingers (at myself and others). …noticing when I was shaming (myself and others). …noticing when I was guilting (myself and others). I used blame, shame, and guilt to protect myself from feeling pain. This is what was modeled for me. Now I have an intimate relationship with fear, rejection, anger, and grief. With pain. And do you know what the amazing thing about that is? I am also very much alive and well and content and creative and peaceful.